Tourists from all over the world visit this place to have a panoramic view of Avalanche Valley, Droog Fort in Coonor, Dolphin’s Nose and Lamb’s Rock in Coonor. Today, the picturesque hill station has become one of the best honeymoon destinations in India. It is widely appreciated for pleasant climate, colonial ambiance, and extensive nature. It provides tourist with immense opportunity to enjoy the true beauty of nature. Here, you may visit some of the best national parks of the world such as the Mudumalai National Park and Mukurthi National Park. You must also visit the fantastic Wax World, well organised Deer Park, and the famous Tribal Museum. So if you are looking forward to enjoy a break from the humdrum affair of life, Ooty will make for an ideal destination option. It will allow you to rejuvenate your mind and body amid the freshness of nature. 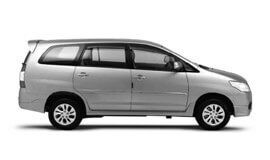 Hiring a taxi in Ooty will help you enjoy the tour in the capital city and areas around better. At My taxi India is proud endorse its exclusive tour packages covering the breathtaking views of Mysore state. We ensure the state travellers with premier quality railway and airport transfers to and from Ooty railway station and airport. Hiring our services means you'll no longer need to struggle arranging for a lift specifically if your flight arrives during office hours or odd time. The services at My Taxi India features highly flexible pick-up and drop-off times. Here, we endeavour towards guaranteeing our clientele with state of the art car hire services, and customer care support at highly affordable rates. With us, it is all about enjoying the tour thoroughly with guarantee for safety without having to break your bank! Our team of dedicated chauffeurs have undergone advanced driving training. They hold many years of experience and expertise in providing adept services to travellers. You can select from a wide range of vehicles to suit your specific budget and requirements.